There is nothing better than a sparkling clean tank. The sight of a clean tank looks great to customers and portrays a good image of the owner and the brand. On the other hand, an unclean, dirty tank is unappealing and can turn customers away. 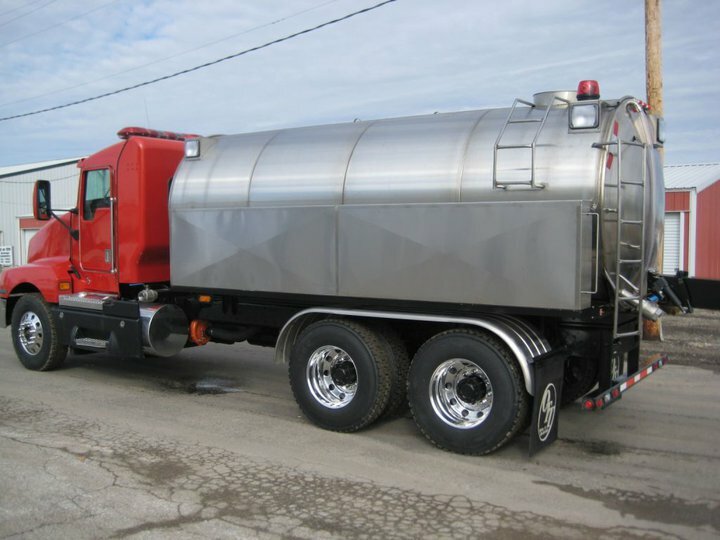 Osco Tank & Truck Sales understands the importance of making sure your stainless tank is looking its best. We created a list of dos and don’ts to help ensure that your tank is always looking its best. 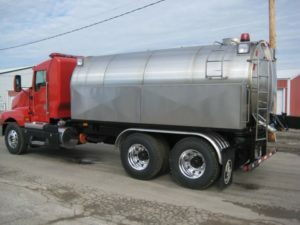 Cleaning a stainless tank is much different than cleaning tractor trailers or other types of trucks. Stainless tanks are very durable, more resistant to corrosion, hygienic, cost saving, and environmentally friendly. However, they are still able to be damaged. These tanks require more special care while cleaning because of the shiny, stainless steel appearance. Using the wrong cleaning material can cause damage to the stainless steel, making it look even worse than it did before it was clean. Also, not rinsing the tank properly after using soap can leave spots. This is not appealing either. Stainless steel and chlorine do not mix. It will ruin the finish of the steel, causing dirt to get stuck in between the cracks. When choosing a cleaner, make sure to read the label because many cleaning products have chlorine bleach in them. If you do happen to get chlorine on your stainless steel, rinse it off quickly and thoroughly. Leftover water can leave residue on your tank. It can also stain the stainless steel on the surface over time. Any leftover cleaning solution can damage the surface of your stainless steel as well. Rinsing is a very important step to cleaning your stainless tank. Steel wool or steel brushes can leave small particles in the surface of your stainless tank. Over time these particles will rust and can stain the surface of the steel. Non-scratch tools are best. Scrubbing with the grain allows you to get the stainless steel surface cleaner and help keep the original finish and texture. Scrubbing with the grain is a good way to clean the tiny grooves where dirt and dust get trapped. At Osco, we know that great quality and looks are important when it comes to stainless tanks. If you are in need of a new or used stainless tank, contact us today!